Quick, to the bat cave! 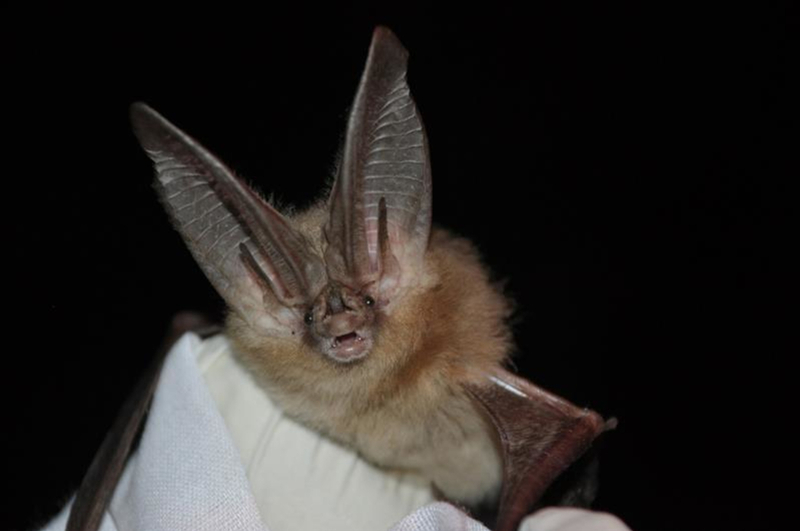 Nestled in the base of the Flatirons, Mallory Cave is home to Townsend’s big eared bat, one of the more exotic-looking flying mammals. 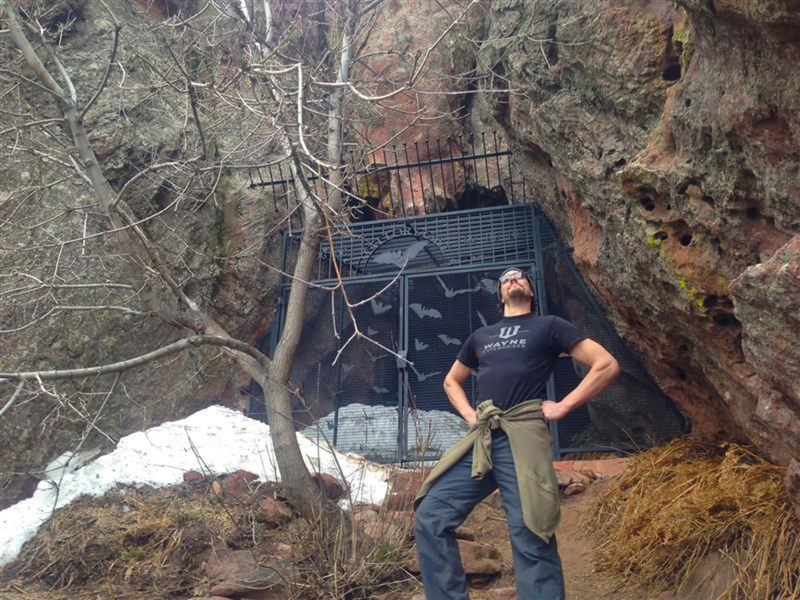 Due to an outbreak of white-nosed syndrome (a fatal fungal infection to bats), Boulder permanently closed the entrance to the cave in 2011 but it’s still worth a visit to see the fancy iron gate that was installed to give the bats their privacy. And truth be told, the cave itself was only a few dozen feet beyond the gate, so hikers aren't missing much by not accessing the shallow cave proper. The quickest way to access Mallory Cave is from the parking area at NCAR (the National Center for Atmospheric Research). 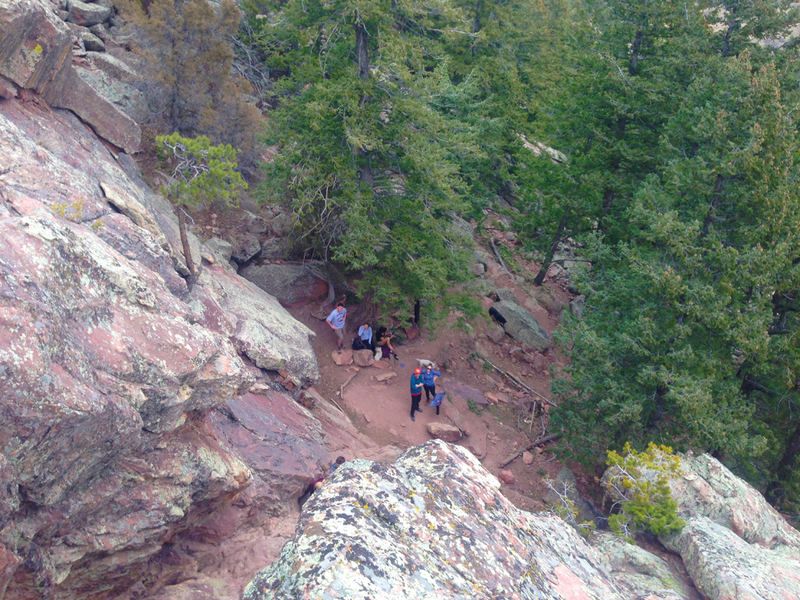 Hikers can make a longer day by accessing the Mesa Trail from Chautauqua Park as well. From NCAR the trail is only 2.8 miles round trip (out and back) but gains a stiff 940 ft. of elevation along the way. Despite the short length, the hike up through the vanilla-scented pine forests and ancient rock structures make this an incredibly scenic adventure. The shady switchbacks traverse over twisted, gnarled roots and through cracked boulders. Along the way are several climbers’ paths that lead to popular rock climbing areas -- nice places for climbers and boulderers to play and escape the sun on hot summer days. There is a little bit of signage on the way up, though the trail can get a little tricky to follow due to offshoots. To stay the course, just maintain the widest, most worn path. Make sure to turn back and take in the east facing views of Boulder from time to time. The scramble to the cave starts at the top of a rock-and-waterbar staircase. This flat sections is marked with sign that has information about the local bats. A 50 foot scramble to the gate will require hands and feet (think of it as tough class 3 hiking terrain). 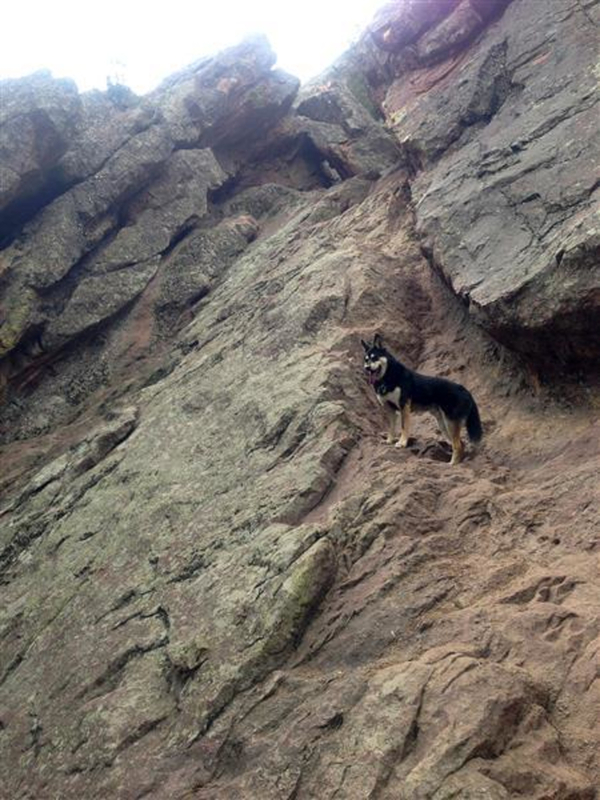 Consider this before letting small children or less-athletic dogs make the climb to the gate (the hard part isn't getting up, it’s getting down!) The gate is just past where the climb flattens out. Hikers looking for a close trail that offers a burly workout and reaches a cool destination will love Mallory Cave. The scramble to the gates is quite fun and the views are wonderful. Below the scramble is a great place to rest, enjoy a snack and pause for a moment to think about how great it is that bats keep the mosquito population down. From the intersection of Hwy. 93 (Broadway) and Table Mesa Drive, turn west on Table Mesa and follow the road 2.4 miles to its terminus at the futuristic-looking NCAR office. There is plenty of parking here and it’s all free. Walk west by the NCAR building and take the NCAR trail 0.5 miles up and down, past a water tank, until it reaches a junction with the Mesa Trail and the Mallory Cave Trail. Stay straight on the well-marked Mallory Cave Trail and follow it 0.8 miles up a series of steep switchbacks to the case of the cave scramble.